be between A4 (210x297mm) and A3 (297x420mm). 5. Technique:Free, black and white or in colour, without subtitles. 5th May until 26th May 2018. There are plans to display the exhibits in the Museum of Caricature and Cartoon of Vianden and in other cities or country. 7. Returns: The drawings that were awarded one of the prizes will become property of the organizer. 8. Catalogue: The authors whose submissions are selected for the exhibition will receive a free catalogue by mail. decisions of the jury are incontestable. 10. Copyright: The selected participants give the organizers permission to use their drawings only for promoting the artist and the event itself. Every other aspect of the copyright remains with the artist (except for the awarded submissions). It ensures that the awarded works can no longer be submitted in other contests or published by their authors or third parties after the official publication of the results. 11. 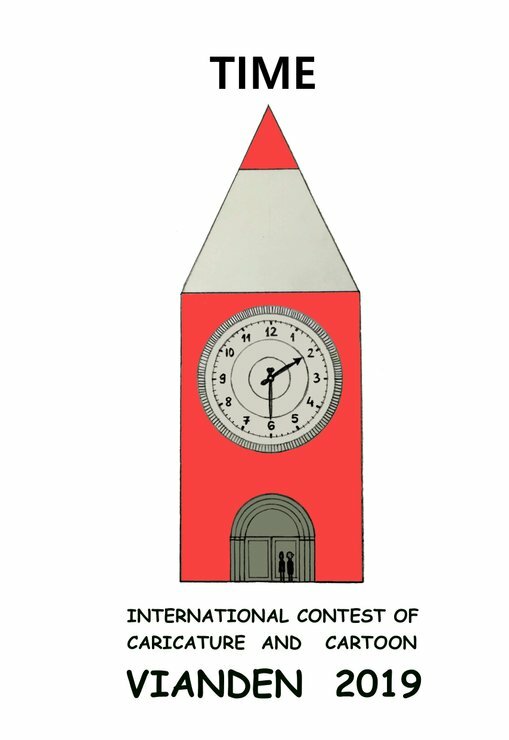 Generalities: The submitted work should not have been awarded or published before the deadline of this contest. By taking part in this contest the participants accept the abovementioned rules.